Impress the man in your life with a personalised grooming gift. Engraved with a name or message, a personalised razor – from the Osterley Collection – will not only impress on the day, but will continue to do so for many years as each razor is designed to offer a comfortable, close shave, time and time again. Perfect gifts and presents for Christmas, Father's Day, birthdays, anniversaries and as wedding gifts. 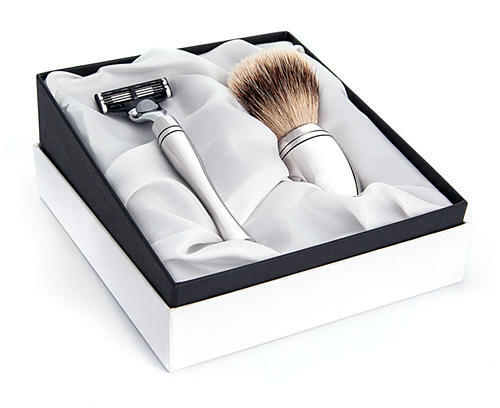 Contact us to ask about personalising a razor or grooming gift set.